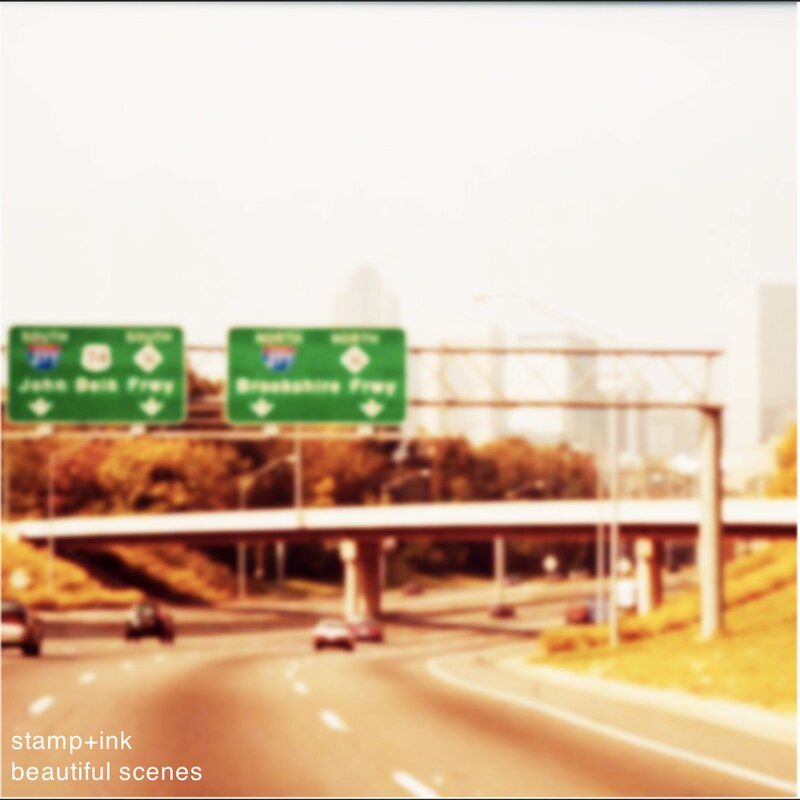 Recorded on minimal equipment in hotel rooms, conference sites, and basements across the US, Beautiful Scenes draws on subjects such as teenage wonder, a love of rocknroll, and memories of music venues in Charlotte, NC in the 1990s—with influences ranging from Jason Molina and Red House Painters to the Mountain Goats and Wilco. The record was mixed by John Ferguson (of Apples in Stereo/Big Fresh/Desperate Spirits Records) and mastered by Dr. Jim Gleason (Eastern Kentucky University). All proceeds from digital sales are donated to the Southeastern Writing Center Association Waldrep Scholarship, which supports undergraduates and graduate students for conference travel. Stamp+Ink will also be playing a seated, quiet show to celebrate the release of the record (and to kick off their fundraising drive) at the International Writing Center Association Conference, from 7-8pm, on Friday, October 12. Free; all ages welcome.